Modern trapping is a highly regulated activity in which a small (yet very important) number of people participate. Skilled trappers provide their state or province with irreplaceable ecological and societal data and benefits, such as managing & Monitoring abundant furbearer populations. This long-standing cultural activity remains relevant and necessary on today’s landscape. Fur trapping in North America dates back to the very early inception of development for the continent. Settlers and pioneers utilized fur trapping and hunting techniques to survive, explore, and carve out a living in America’s wilderness. The modern activity of trapping in today’s world is engaged upon by thousands of people, for a magnitude of differing reasons. For some, it may be a curiosity factor, seeping deep into the natural world and matching wits with creatures that are not commonly hunted or preyed upon. It may be to gain a better understanding of how furbearing animals act or behave – understanding individual characteristics. Or it may be a way to temporarily break away from the “daily grind” of modern society - to more intimately immerse oneself into the natural order of our wild places. For many more it’s an activity built from heritage; a trade or skill passed down from generation to generation. Whatever one’s reason for partaking in fur trapping today, the individuals tied to the practice tend to be passionate conservationists; deep seeded in knowledge, rationale, and respect for both land and wildlife populations as a whole. However, while the above-mentioned reasons alone would suffice for those engaging in the activity of trapping, they may not be reason enough for some in the non-trapping public sector to fully support regulated trapping on today’s landscape. There is no argument that fur trapping has a very dark past, where animal pelts were procured in an unregulated fashion, with little regard for animal welfare or wildlife balance. With these facts in mind, one must ask, “why has the activity of regulated fur trapping survived into the 21st century?” What modernized examples could necessitate such a “niche” activity remaining heavily regarded by biologists and Fish and Wildlife Agencies across the continent? What advancements have been made to place animal welfare and humane treatment at the forefront of the activity? Furthermore, what examples and facts would be sufficient enough to comfort those who don’t trap or hunt? The fact is that modern trapping is a highly regulated activity in which a small (yet very important) number of people participate. 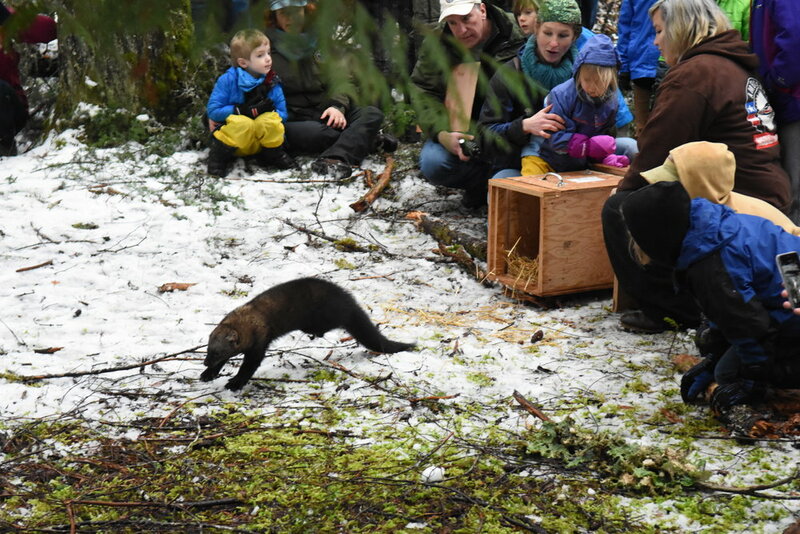 Skilled trappers provide their state or province with irreplaceable ecological and societal data and benefits, such as managing abundant furbearer populations at no cost to other residents. This long-standing cultural activity remains relevant and necessary on today’s landscape. For example, regulated fur trapping activities have been scientifically proven to provide reductions in flooding damage by beavers, minimizing disease risks in animal species, and providing critical tools for modern wildlife management. Additionally, modern traps have changed drastically from their 1930's predecessors. Modern traps are specifically designed and scientifically tested to meet international humane standards. Much to the dismay and disapproval of protectionist groups and anti-trapping proponents, trapping remains a much needed, and desired, piece of the conservation puzzle. The crown jewel for relevance of trapping activities today lies right in line with science. If humans were not present on the landscape today, perhaps the argument of managing wildlife populations wouldn’t have as much bearing; but the fact remains that we are here to stay. For years humans negatively impacted other wild species of plants and animals through unregulated cull and urban development. The Teddy Roosevelt era of conservation opened a new mindset of conserving, rather than molesting, our wild natural resources. Trappers today are the quintessential "boots on the ground" with regard to wildlife monitoring. The trapper recalls minute details, and can pick up on subtle changes within a given habitat. In the Northeast, trapper harvest reports, surveys and select carcass turn-in programs assist wildlife management agencies with irreplaceable data collection. This is one of the many reasons that today, despite a decline in our trapping ranks, state wildlife agencies still look to trappers and trapping activities for important information regarding species. Another important pillar of support for modern trapping is our own growing populous. Many people look at hunting and fur trapping as negative impacts to wild species, when in reality the irrefutable fact is that loss of habitat is the biggest detriment to North America’s wildlife today. Our human population expansion shows no signs of slowing down, and as a result, we have guaranteed the future of conflict with displaced wildlife and human beings. Muskrat trapped and removed from a clogged drainage culvert. It’s very easy to point blame and resentment at the hunter or trapper for utilization of a natural resource, but keep in mind that your home, developed property, and automobiles all account for more wildlife deaths annually than hunting and trapping activities combined. When conflicts with wildlife inevitably come up, it is typically the licensed trapper who answers the call. Whether through flooding damage from beavers, livestock or domestic pet depredation, rabies scares and attacks, or furbearers making residence in and around our homes, licensed trappers handle the demand – in many cases at no cost to the landowner, taxpayer or municipality. 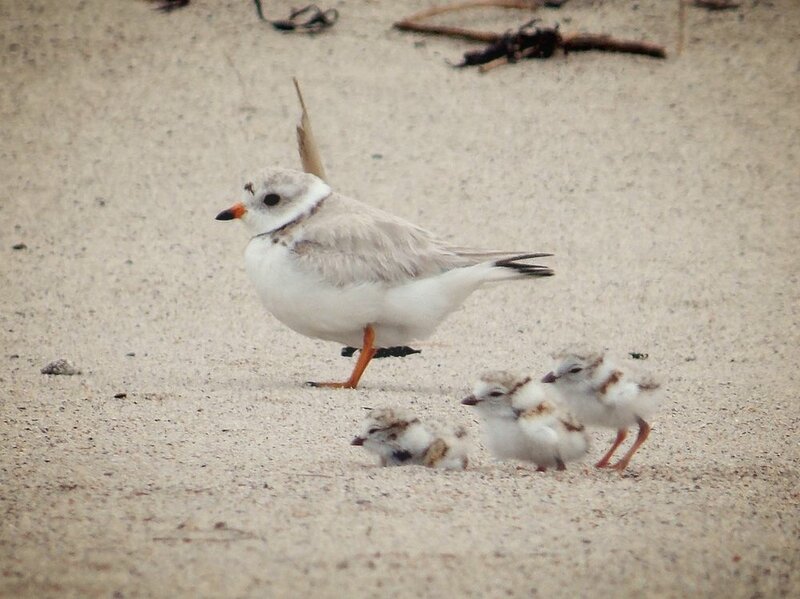 Piping Plover with chicks (public domain image). Contrary to what one may think, scientists don't take routine head counts on critters like muskrats or mink. Unless there is substantial data to suggest additional resources are needed to monitor a particular furbearing species, many state wildlife agencies won’t exhaust their resources on healthy furbearer populations. So how do state and provincial biologists gather important data to monitor furbearers? The answer is simple: trappers – who have a vested interest in the natural resources of these species and their habitats – to produce data and information regarding population health. This is achieved through many ways, such as fur reports, sightings, and trappers assisting with studies, or adjusting harvest seasons to monitor impacts on a given species. For years, special interest groups against trapping have relied heavily on the argument that trapping somehow negatively impacts endangered species. On the contrary, regulated trapping activities have accounted for a vast array of endangered species recovery success stories. Piping Plovers and other endangered ground nesting birds are in constant jeopardy from egg-hunting predators such as raccoons and skunks – animals that are in greater abundance by comparison. Scientific studies have proven trapping to be one of the most effective tools to reduce depredation and encourage resurgence in the hatch-ling survival success rate of many endangered birds. The North American river otter - a true conservation success story. (Public domain image). 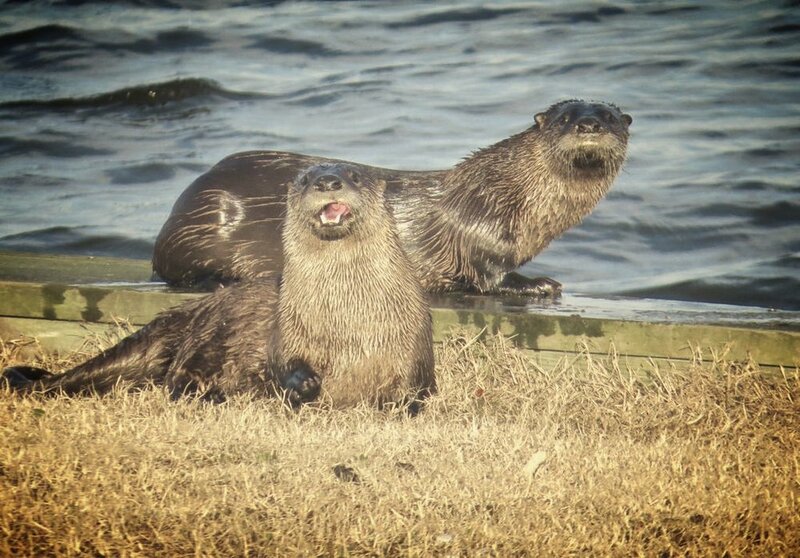 When River Otters were extirpated in certain parts of their traditional home range of Missouri, licensed trappers came to the rescue lending their skills to assist with trapping and relocation. In this case, using the very same foothold traps utilized by trappers today. The same can be said for Fisher reintroduction in West Virginia and Pennsylvania, as well as studies on bobcat population health in New Hampshire. This is just a small stack of examples where trappers have volunteered their time and expertise to assist with furbearer and endangered species population sustainability. These examples and many like them would fail to be successful without regulated trapping taking place on the landscape. There are thousands of ways for you to experience nature in North America. Whether majoring in wildlife biology or ecology, living close to rural areas where wildlife exists, or spending time researching and reading about wild animals; the possibilities to familiarize yourself with nature is endless. That being said, its pretty safe to say you can’t fully understand the characteristics of a short tailed weasel from a quick walk on a hiking trail. You can read all the books in print about weasels, but do you really understand these creatures? Or are you simply digesting print from a page? A successful trapper understands their query intimateley. In thousands of acres of forested land, the trapper must convince a skittish and cautious creature to pass through a space or step in a specific area no bigger than the diameter of a silver dollar. The author inspects the function of a beaver trap before being placed in an ideal location. This doesn’t happen by a stroke of luck, and it isn’t bred out of sheer laziness, as the “animal rights” crowd would have you believe. The trapper must fully and intimately understand the creature he/she seeks to catch, and this can only be accomplished through years of close and meticulous study of that animal’s traits and behaviors. What makes a mink cross “here” instead of “over there”? What causes an Eastern Coyote to avoid one patch of grass, while rubbing itself on another? These are answers the experienced trapper holds, and it’s a prime example of why curious nature lovers and biologists alike always request input from the local trapper. Trappers know the animals they seek to catch; in most cases much closer than other folks. Food and Fur – as stated in the guidelines for the North American Model of Wildlife Conservation. This model, guided by John F. Lacey, Aldo Leopold and many others suggested that a commercial perversion of our wildlife and wild resources needed to end. Long gone are the days of frivolous culling of wildlife for commercial or monetary gain, and in their place now rests regulated activities that seek to conserve rather than recklessly expel. Some use the North American Model today as an argument for why fur-trapping activities should cease; suggesting that the selling of animal pelts is an example of “commercial gain or manipulation”. However, the idea of why such a model and concept were created to begin with is regularly overlooked. Its important to keep in mind that during the inception of the North American Model, wildlife was harvested indiscriminately for commercial markets, which contributed greatly to the extirpation of many species of wildlife, and the near extinction of countless others. Our natural forests and plains were the “wild west” – a lawless place where consumption ruled over conservation. With parameters now put in place to regulate hunting and trapping activities, abundant wildlife populations could be strictly managed. For some creatures, such as coyotes or skunks, edible meat isn’t necessarily desired, although management practices still need to take place to ensure a healthy balance. Rather than utilizing as a food source, these creatures are desired more as a means of natural warmth in the form of clothing or trim made from their fur pelts. The alternative, if not utilized for their fur, would be culling and wasting surplus individuals – thus violating one of the primary cruxes of the North American Model; wise use without waste. An array of different animal pelts, which once tanned, pose diverse use as a natural resource. Additionally, wild animals targeted by licensed trappers during regulated trapping seasons are utilized for more than just their pelts. For example, beaver meat is part of a staple diet for many trappers. The pelt is used, as are the animal’s scent glands for an array of purposes. The tail leather is used for wallets, sheathes and other leather goods, and the skull and bones are typically sought after by educational or artistic markets. Essentially every part of the animal has a use and a purpose for the trapper. The same cannot be said for nuisance wildlife culled outside regulated seasons, or animals that are frivolously struck and killed on roadways, expire from disease, or become displaced from habitat loss. Trapping also provides financial support for conservation and wildlife. Sticking with the Teddy Roosevelt theme, the inception of The Pittman-Robertson & Dingell-Johnston Acts paved the way for a “pay to play” concept of ensuring conservation was always funded. These acts both utilize taxes on hunting and fishing equipment with the intent of assisting funding for state wildlife agencies and conservation-related programs. Hunters, Anglers and Trappers directly support conservation through these acts every time they purchase specific equipment pertaining to these activities. The same can’t be said for the purchase of kayaks, binoculars for bird watching, or hiking backpacks – materials purchased by individuals who, in recent years, have made the biggest fuss over hunting and fishing activities. To add to the examples above, purchase of licenses and stamps for hunting and trapping activities in turn provides direct support for wildlife management. Education programs, outreach events, educational specimens, and other forms of volunteered support are also furnished greatly by hunters and trappers – without any demand for reimbursement other than the opportunity to immerse themselves in the wild landscape on a more primal and intimate level.